Earning his third MXGP class podium result for the season, Rockstar Energy Husqvarna Factory Racing ‘s Gautier Paulin has moved up to fourth in the MXGP class’ provisional championship standings following two strong performances at the rough and rutted Teutschenthal track. Taking place at the spectacular hillside circuit in central-east Germany, round eight of the 2018 FIM Motocross World Championship saw Gautier Paulin secure a second consecutive podium finish in the elite MXGP class. Demonstrating the potential of his FC 450 machine, the Frenchman claimed two impressive holeshots before going on to earn two third place results in the two MXGP motos. 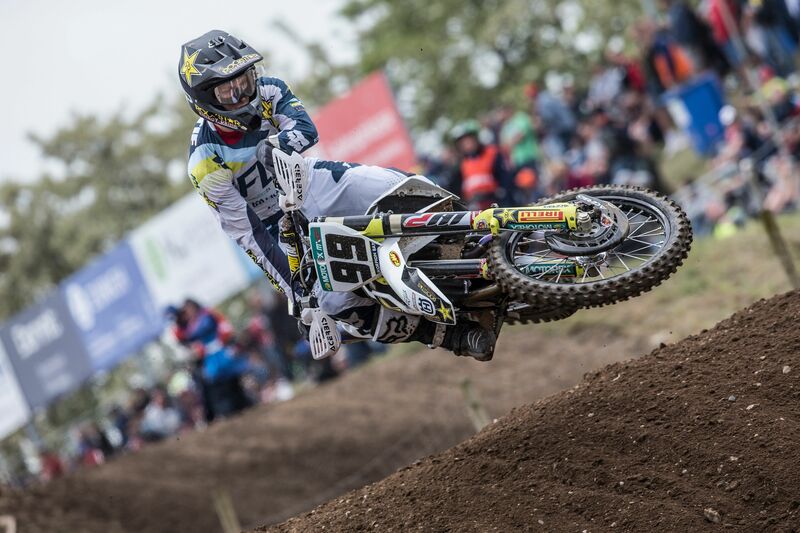 For Max Anstie, not getting good starts in either of the two MXGP motos left the Rockstar Energy Husqvarna Factory Racing rider with a mountain to climb. Securing 15/12 results the young Brit is looking for improved his results at his home GP in two weeks time. In the MX2 category, finishing eighth at the German GP Thomas Kjer-Olsen has maintained his third place in the class’ provisional championship standings. With a crash in the opening moto forcing the young Dane to settle for a 15th place result, Kjer-Olsen came back stronger to cross the line in fifth place in the second and final MX2 moto. Battling through two mediocre starts, American Thomas Covington wrapped up the German GP in 16th position. Remaining 11th in the class’ provisional points standings, the Rockstar Energy Husqvarna Factory Racing rider will look to go even higher in the remainder of the 2018 season. The Rockstar Energy Husqvarna Factory Racing team will return to action at the ninth round of the 2018 FIM Motocross World Championship in Great Britain on June 2/3. Download high-res images from the GP of Germany here.